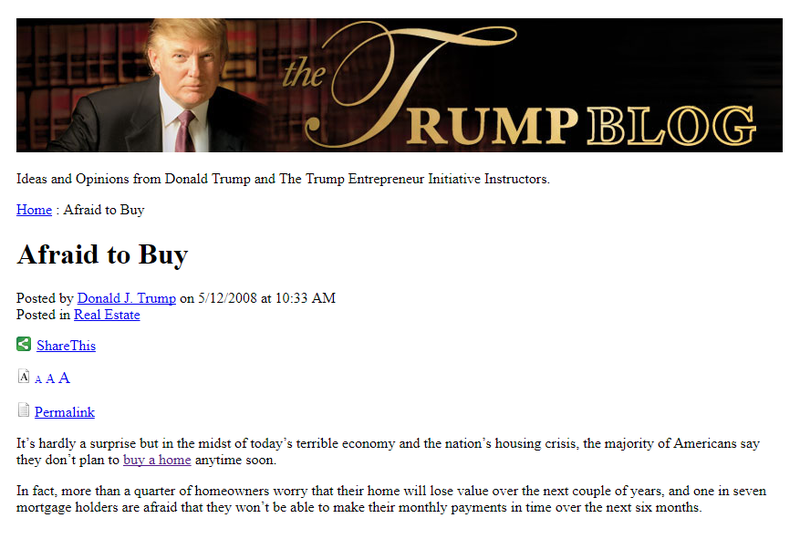 The Ghost of Trump U.
Trump University, founded in 2004 by its presidential namesake, was an unaccredited real estate programme aimed at budding investors. Before and after its closure in 2010, the New York-based programme faced repeated allegations of illegal business practices by state authorities, plus two federal lawsuits brought by former students who claimed they were defrauded out of thousands of dollars in tuition fees (in late 2016, Trump agreed to pay $25 million to settle the lawsuits). Now Trump U. is back to haunt the archives of the Lumen Database, a website that collects and analyses online takedown requests. Earlier this month, Lumen published multiple DMCA copyright complaints received by Google requesting that the search engine delist pages from Swiped.co, a self-described “community for marketers, copywriters & savvy business minds” founded in 2013 by New Jersey-based marketer Mike Schauer. The complaints were sent by Big Jason Henderson, founder of Las Vegas marketing company SMH Marketing, who requested that Google delist Schauer’s annotated analysis of a decade-old Trump U. sales letter by deceased Trump ghostwriter Scott “Mongo” Haines. Henderson says he acquired the rights to Haines’ works shortly after Haines’ death in January. 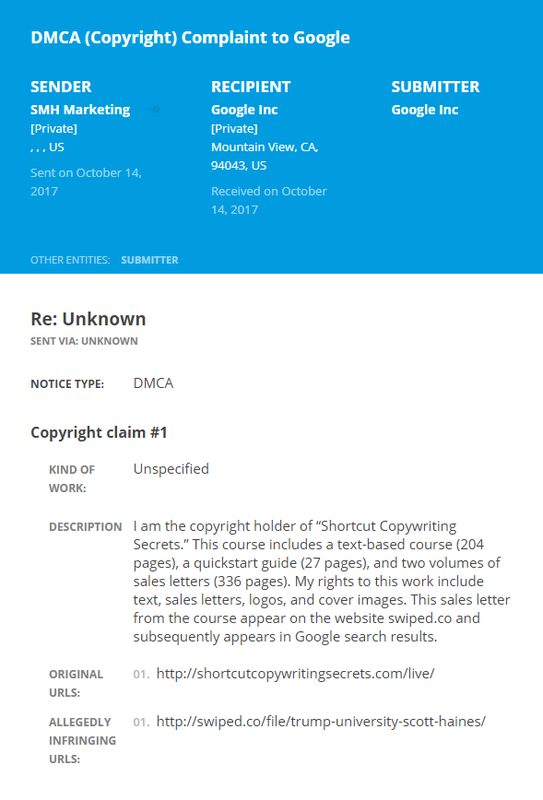 I am the copyright holder of “Shortcut Copywriting Secrets.” This course includes a text-based course (204 pages), a quickstart guide (27 pages), and two volumes of sales letters (336 pages). My rights to this work include text, sales letters, logos, and cover images. This sales letter from the course appear on the website swiped.co and subsequently appears in Google search results. In an e-mail, Schauer said that he is saddened by the ordeal. I asked Techdirt reporter Tim Cushing about the possible fair use components of Schauer’s post. Strangely enough, Henderson appears to agree. In an e-mail, he said he has “no issue” with the delisted page, and that he intended to target another page which he claims contains copyrighted material taken from Haines’ collection – a claim disputed by Schauer. My wife’s been helping out and says she did not intend to put in a claim for the Trump U. letter. I had told her to only look for Trump U. letters which were addressed to Scott which would indicate it was taken from Scott’s collection. Might have been because it was also on a page that linked to another sales letter which was copyrighted by Scott and included in his collection. So, I believe she is in communication with swiped.co and working something out because I have no issue with and would even be willing to provide some missing info about that Trump U. letter. Henderson confirmed that he will ask Google to relist the disappeared pages, on the condition that Schauer agrees to include a link to Henderson’s website. In the meantime, Schauer has filed a counter notification with Google. Update, 7/11/2017: According to Schauer, Google has relisted his website. 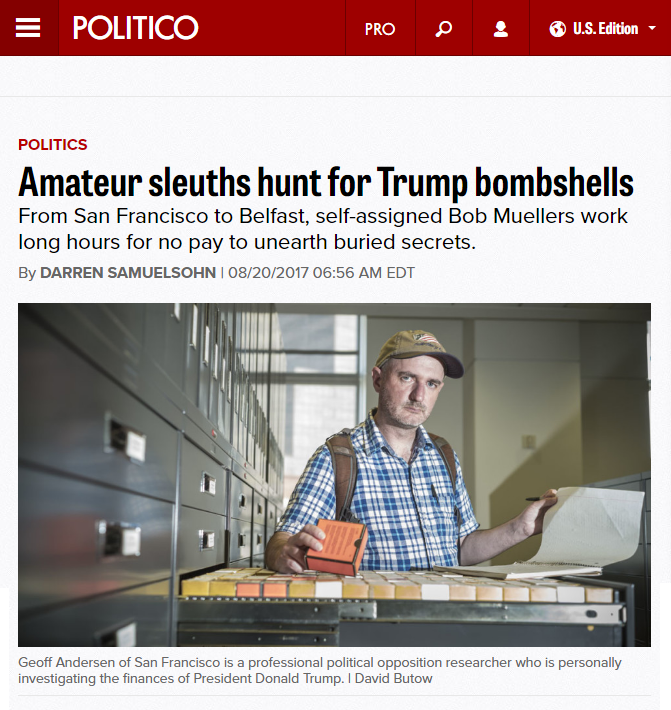 This week I was featured in a Politico profile about “self-assigned Bob Muellers” who are doing independent research into Donald Trump’s Russia and business connections. The article, by Darren Samuelsohn, highlighted three stories first published on this blog. 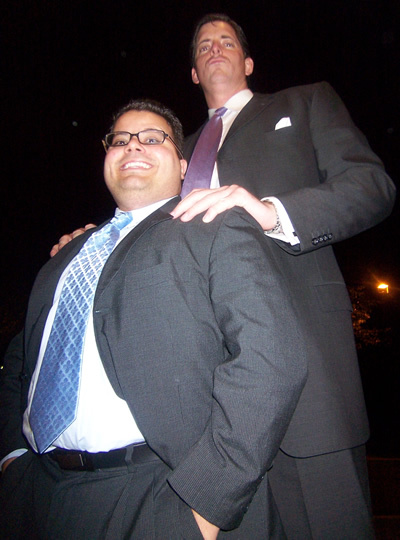 One of them, that Donald J. Trump’s former business partner Tevfik Arif tried to scrub details of his arrest (and later acquittal) for human trafficking from the Internet, was picked up by The Daily Beast last month. Shortly after Politico’s article, Jordan Sekulow, director of the American Center for Law and Justice and the son of Jay Sekulow, Trump’s legal adviser during the Mueller investigation, appeared on Fox News to denounce me and the other featured researchers—including Brooke Binkowski, managing editor of highly respected fact-checking website Snopes—without disclosing his ties to Trump. Sekulow: I think it’s wonderful that these people who are – who want to bring down the president – are wasting all of their time and money to do so. I don’t even think the special counsel is going to be able to find anything on the president, so good luck to these sleuths who are, again, spending all they’ve got to try and bring this president down. It does underscore, though, just how much hatred there is out there for this President of the United States, who was elected so overwhelmingly by the American people. To which I say: If a part-time blogger like me with zero resources can locate and publish the kind of damning info I have on Trump, I can only imagine what the Mueller investigation is turning up! For the record—savvy cat that I am—I found my scoops without spending a single penny. Countless amateur sleuths are on the case, from a short-order cook in Belfast whose research was recently cited by the Daily Beast to a Florida art teacher who tells POLITICO he is applying his pattern-recognition skills to Trump’s sprawling business empire. Anyone can join the hunt—even a 28-year old Irish short-order cook like Dean Sterling Jones, who grills salmon, burgers and steaks at Thyme, a restaurant in Belfast, but whose blog says his “principal activity is investigative reporting based on deep research using public records.” It only took Jones a few weeks of digging to find a couple of scoops. One of them, that former Trump business partner Tevfik Arif tried to scrub online details about his arrest (and subsequent acquittal) for underage prostitution, was picked up by the Daily Beast last month. On his blog, Jones—who briefly worked as a community newspaper reporter —has also documented Wikipedia editing records that show how Felix Sater, a Russian-born real estate developer and Trump business partner, may have used a pseudonym to delete information about his criminal history from Trump’s Wikipedia page. He has also identified about a dozen posts written under Trump’s name on his now-defunct Trump University blog that appeared to plagiarize content from news outlets including CNN, USA Today and the New York Times. “This is simply a hobby that I do in my spare time,” between the breakfast and dinner shifts, Jones explained. — Did Trump plagiarise content from CNN and other major news networks on defunct Trump University blog? 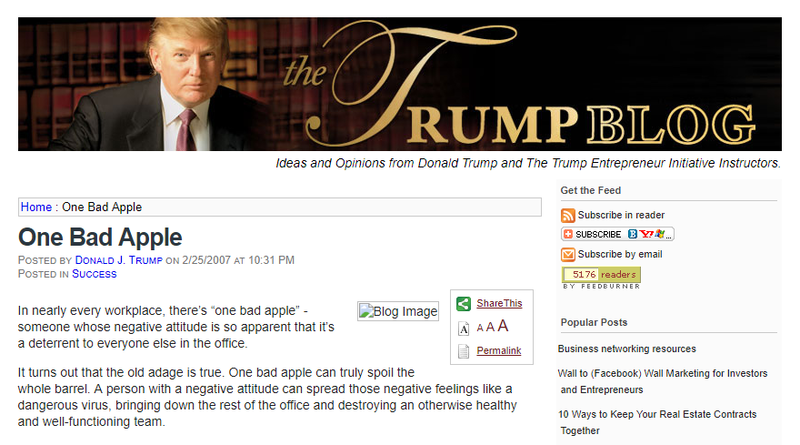 However, it appears that from 2006-2010 Trump plagiarised content from around a dozen major news publishers, including CNN, USA Today, and the New York Times on his now-defunct Trump University blog (later re-named the Trump Initiative), a weekly column in which the former real estate mogul gave advice and opinions to budding entrepreneurs. Here are a few of the most conspicuous examples (a full list is available by clicking here). Admit it: At some point, you’ve lied. Maybe it was the time you told your aunt that her hand-knit holiday sweater was “exactly what you wanted.” Or when you explained to human resources that you’d missed the big company meeting because your grandmother died … again. Take heart, though; you’re not Machiavellian. You’re just normal. Most white lies (for instance, a person trying to present himself as more knowledgeable) are told to strangers. 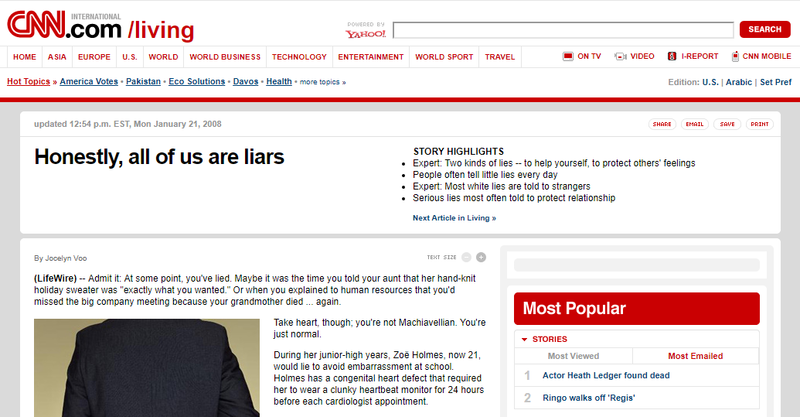 Serious lies, she found, overwhelmingly are told to or by people close to the teller (such as a parent lying to her child about how sick a grandparent is), most often to protect that relationship. Lying is not exactly extraordinary. In 2004, DePaulo asked college students at the University of Santa Barbara and members of the surrounding community to record every lie they told in one week. The results, published in “The Social Psychology of Good and Evil,” showed that college students lied at least once to 38 percent of the people they interacted with. Community members lied to 30 percent. In these ways, it’s unrealistic to be a completely Honest Abe. Admit it. At some point it your life, you’ve lied. Maybe you tell white lies on a daily basis. Maybe you tell some all-out doozies. Whatever the case, don’t worry about it too much. You’re normal. Experts say there are two kinds of lies – the lies that you tell to help yourself and the lies you tell to protect other people’s feelings, like when you tell someone they look good in that terrible pink-and-green tie. Serious lies are most often told to protect relationships. That’s when people lie about cheating, for example. Obviously, they don’t want to get caught and they want to keep their marriages intact. Most white lies, however, are told to strangers. Lying is not exactly extraordinary. During a recent study, people were asked to record every single lie they told in one week. 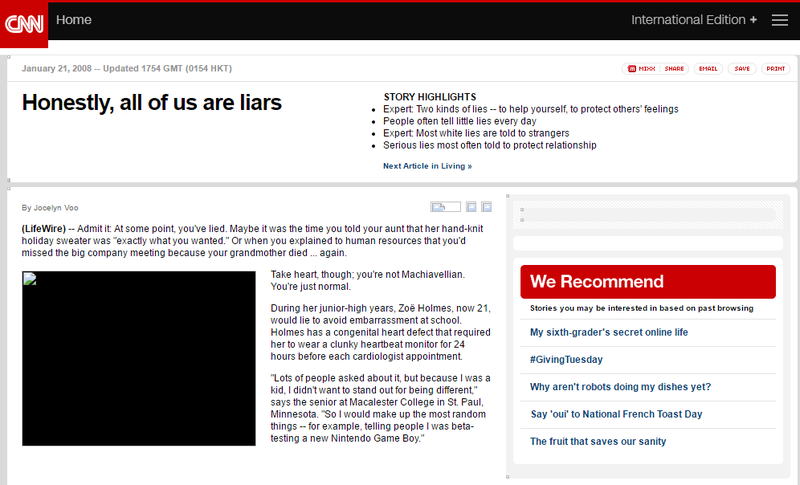 The results showed that college students lied at least once to nearly 40 percent of the people they interacted with. The rest of the people lied to nearly one-third of the people. It’s amazing that lying is so second-nature to people. So, I think it’s nice to say, “Don’t lie,” but it’s just not realistic. We do it to save other people’s feelings. We do it to protect ourselves. We do it to get what we want. …You can tell a lot about a person by the way he or she treats the waiter. And beware of anyone who pulls out the power card to say something like, “I could buy this place and fire you,” or “I know the owner and I could have you fired.” Those who say such things have revealed more about their character than about their wealth and power. People view waiters as their temporary personal employees. Therefore, how executives treat waiters probably demonstrates how they treat their actual employees, says Sara Lee CEO Brenda Barnes, a former waitress and postal clerk, who says she is a demanding boss but never shouts at or demeans an employee. Occasionally in the business world, I’ve heard people refer to something called “The Waiter Rule.” Simply put, how you treat a waiter or a waitress reveals a lot about your character. It may sound insignificant, but over the years I’ve found respect to play a significant role in wealth creation. You would be amazed at how poorly some people treat waiters and waitresses. They yell at them if they forget an order or spill a drink. They threaten to have them fired, or even demand to speak to a supervisor. Their actions speak volumes and reveal more about their character than anything they could say or do in the most impressive business meetings or boardrooms. 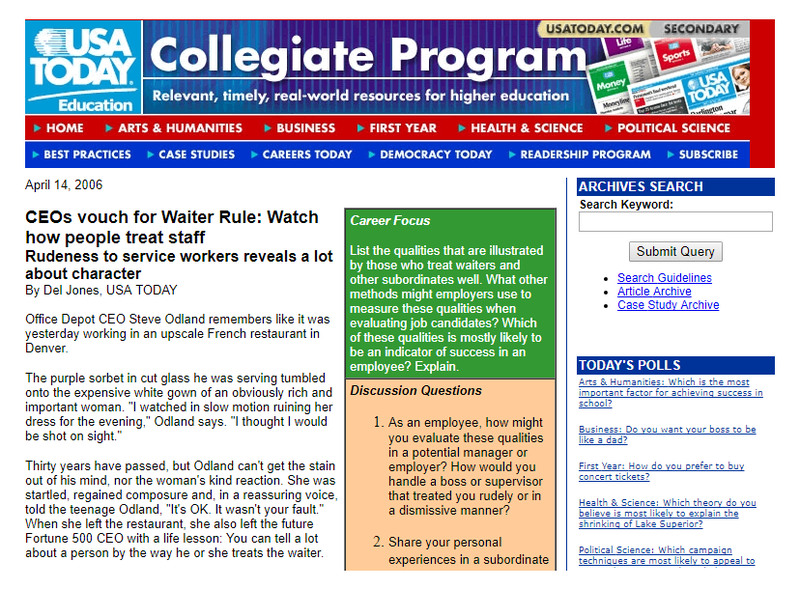 How you treat a waiter demonstrates how you would most likely treat your actual employees. It shows the true makeup of your personality and your true disposition. You might be a demanding boss, but it doesn’t mean you have to be a demeaning and nasty one. So think twice the next time you sit down at a table and get ready to order. And don’t forget to leave a big tip. One “bad apple” can spread negative behavior like a virus to bring down officemates or destroy a good team, according to a new study examining conflict in the workplace. 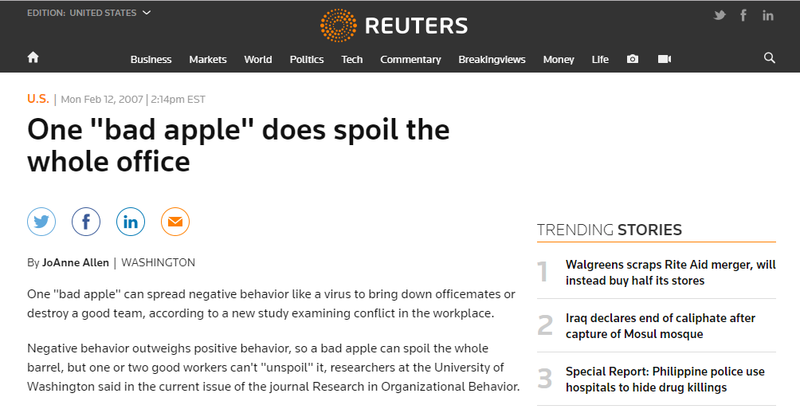 Negative behavior outweighs positive behavior, so a bad apple can spoil the whole barrel, but one or two good workers can’t “unspoil” it, researchers at the University of Washington said in the current issue of the journal Research in Organizational Behavior. “Companies need to move quickly to deal with such problems because the negativity of just one individual is pervasive and destructive and can spread quickly,” said co-author Terence Mitchell, a professor of management and organization. If a bad apple slips through screening in the hiring process, he or she should be placed to work alone as much as possible, the study’s lead author, William Felps, said. In nearly every workplace, there’s “one bad apple” – someone whose negative attitude is so apparent that it’s a deterrent to everyone else in the office. It turns out that the old adage is true. One bad apple can truly spoil the whole barrel. A person with a negative attitude can spread those negative feelings like a dangerous virus, bringing down the rest of the office and destroying an otherwise healthy and well-functioning team. A new study from researchers at the University of Washington examined conflict in the workplace. It found that negative behavior has much more of an impact than positive behavior. So while negative people can spoil an entire office environment, a couple of positive good workers can’t “unspoil” it. Ideally, bad apples shouldn’t be hired in the first place. When you’re hiring, avoid people who in general appear combative or disagreeable. It’s a sure omen of negativity in the future. But if it’s too late and there’s already a negative person in place in your organization, the best you can do is keep him or her working alone as much as possible. The less interaction those negative people have with the rest of your team, the better. That way, their toxic attitudes won’t spread. There has been outrage in Italy after the outgoing government published every Italian’s declared earnings and tax contributions on the internet. The tax authority’s website was inundated by people curious to know how much their neighbours, celebrities or sports stars were making. The Italian treasury suspended the website after a formal complaint from the country’s privacy watchdog. The information was put on the site with no warning for nearly 24 hours. But it was also hugely popular, and within hours the site was overwhelmed and impossible to access. The finance ministry described the move as a bid to improve transparency. Deputy Economic Minister Vincenzo Visco said he could not understand what all the fuss was about. 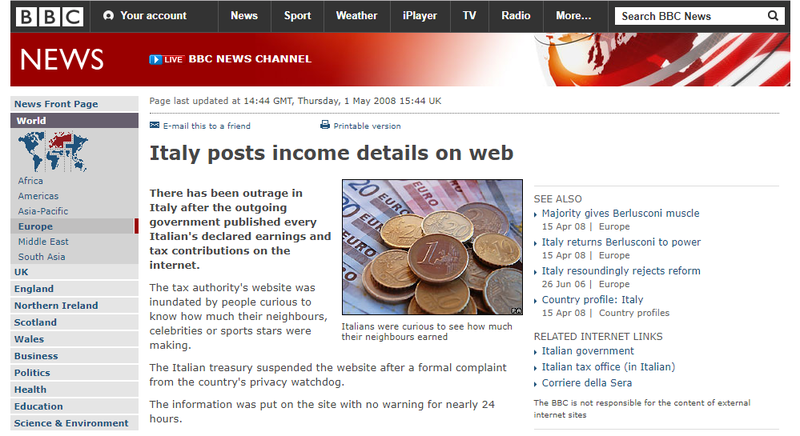 …There was a lot of outrage in Italy recently after the government published every citizen’s income on the Internet. The tax authority’s website was swamped with people snooping to see how much their neighbors and co-workers and celebrities earned. Within hours of the site going up, it was so overwhelmed that it was nearly impossible to access. But the site stayed up for nearly 24 hours until it was suspended after a formal complaint was filed. Although critics complained that it was an outrageous breach of privacy, some government officials said they didn’t understand what all the fuss was about. 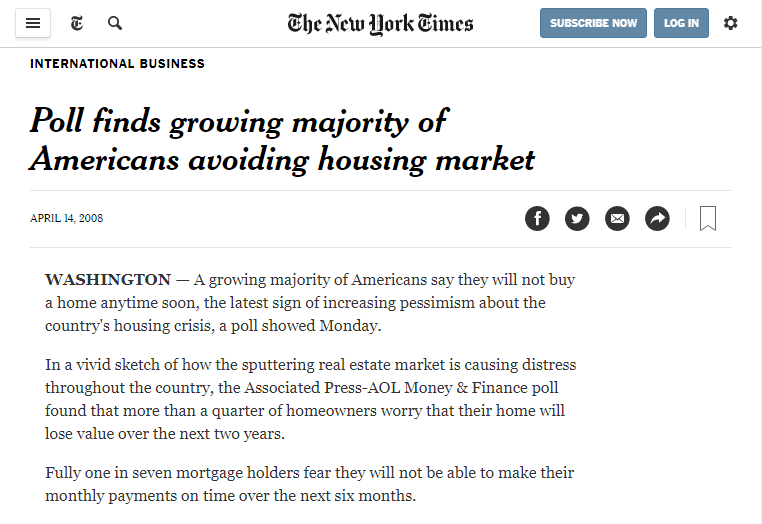 A growing majority of Americans say they will not buy a home anytime soon, the latest sign of increasing pessimism about the country’s housing crisis, a poll showed Monday. In a vivid sketch of how the sputtering real estate market is causing distress throughout the country, the Associated Press-AOL Money & Finance poll found that more than a quarter of homeowners worry that their home will lose value over the next two years. Fully one in seven mortgage holders fear they will not be able to make their monthly payments on time over the next six months. The growing reluctance to dip into the housing market seems to stem partly from worry that housing prices will continue falling – good if you are buying a house but bad if you have to sell one. Gus Faucher, director of macroeconomics for Moody’s Economy.com, a consulting firm, estimated that nine million homeowners owe more on a home than it is worth. He said his company believed home sales were at or near bottom and home values would continue to fall until early next year. It’s hardly a surprise but in the midst of today’s terrible economy and the nation’s housing crisis, the majority of Americans say they don’t plan to buy a home anytime soon. In fact, more than a quarter of homeowners worry that their home will lose value over the next couple of years, and one in seven mortgage holders are afraid that they won’t be able to make their monthly payments in time over the next six months. People are worried that housing prices will continue to fall which is good news if you want to buy but obviously terrible if you have a house to sell. In addition, we have record-high foreclosure rates and an estimated 9 million homeowners actually owe more on their homes than they are actually worth. If you’re in that situation, the best thing you can do is to sit tight if you can and try to weather out the storm. A different version of this item appeared on this blog on March 25, 2017. 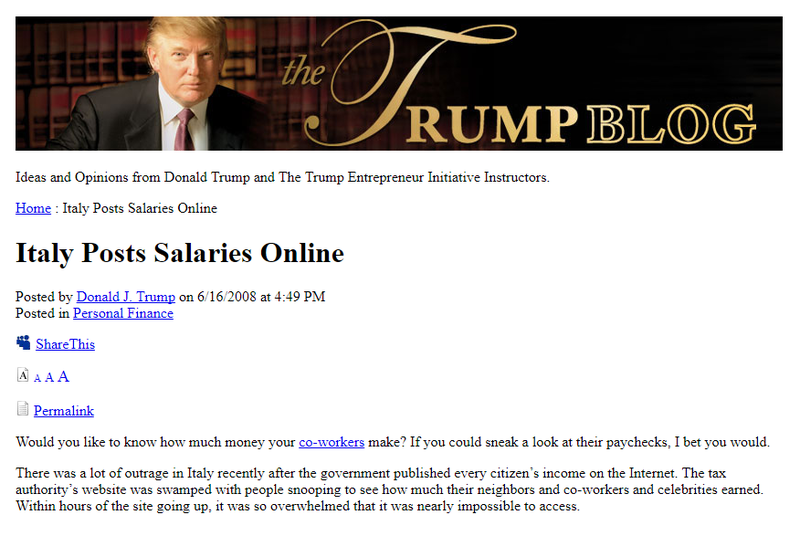 Did Trump plagiarise from “fake news” network CNN and other media networks on defunct Trump University blog? 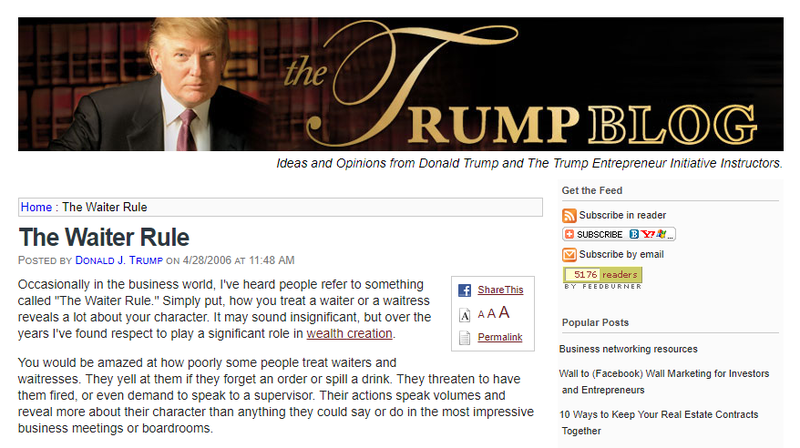 However, it appears that in 2008 Trump plagiarised articles originally published to the CNN website on his now-defunct Trump University blog, a weekly column in which Trump gave advice to budding entrepreneurs. 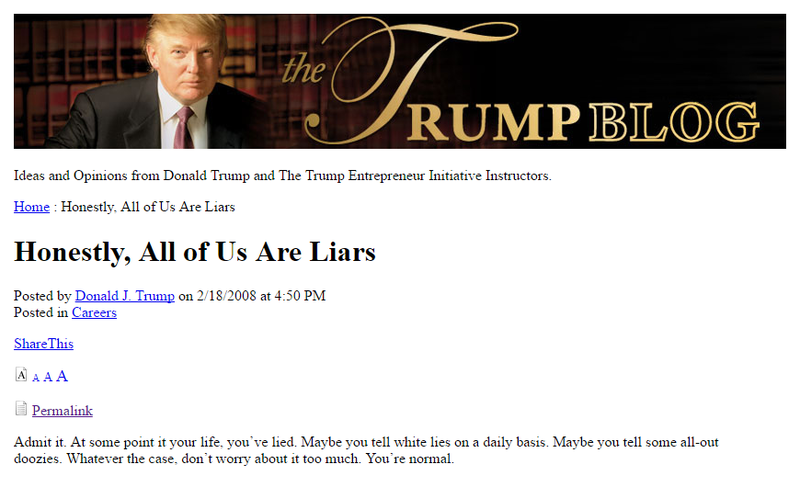 For instance, in February 2008 Trump copied from an article published to CNN the previous month titled – somewhat ironically – “Honestly, All of Us Are Liars” by health and lifestyle reporter Jocelyn Voo. 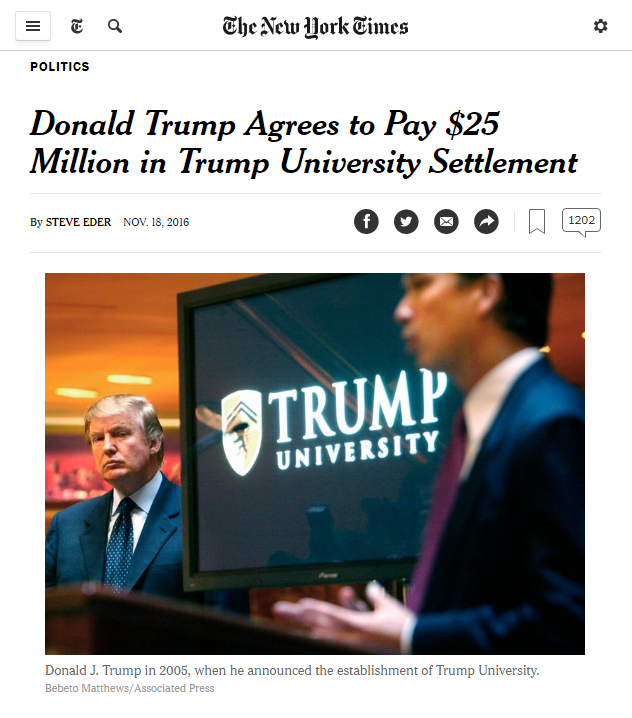 In November, Trump agreed to pay $25 million to settle a number of lawsuits brought by former Trump University students who alleged they were defrauded out of thousands of dollars in tuition fees. …I think it’s nice to say, “Don’t lie,” but it’s just not realistic. We do it to save other people’s feelings. We do it to protect ourselves. We do it to get what we want. ¹Available to read by clicking here and here. ²Available to read by clicking here and here.